Within the past two years there has been considerable debate over the appropriate roles of stockholders and directors in Delaware corporations. 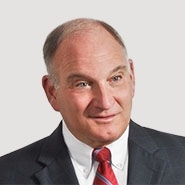 Several amendments to the Delaware General Corporation Law ("DGCL") have been proposed in a bill that is currently making its way through the legislative decision-making process. If the bill is adopted by the Delaware General Assembly and approved by the Governor, these amendments would become effective on August 1, 2009. The attached article, co-authored by Young Conaway partner, David C. McBride and associate, Alex D. Thaler, discusses the proposed changes and how they may affect corporate law and practice.